I have to agree with these sentiments from Sophia Bush: “Life is too short…I’d much rather eat pasta and drink wine than be a size 0.” The One Tree Hill was right on, especially after my visit to Alpine Bakery and Trattoria. Located in the historic Crabapple district of Alpharetta, this restaurant and bakery will make even the most disciplined dieter forget about Weight Watchers points plus counting carbs and calories to simply enjoy a delicious meal in great company. I recently dined in the Trattoria, Alpine’s newest addition to their Bakery. 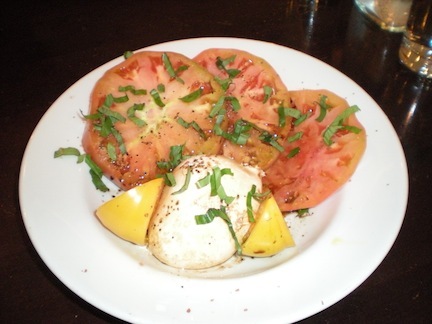 My gastronomic journey began with a wonderful, fresh Caprese Salad. If you are a lover of cheese you must try their Burrata Mozzarella which is made specifically for Alpine. Buratta is a type of fresh mozzarella that when translated means “buttered” in Italian. It is much creamier, richer, and decadent than traditional Buffalo Mozzarellas. Paired with a 12-year-aged balsamic vinegar and heirloom tomatoes, Alpine’s dish is perfection! 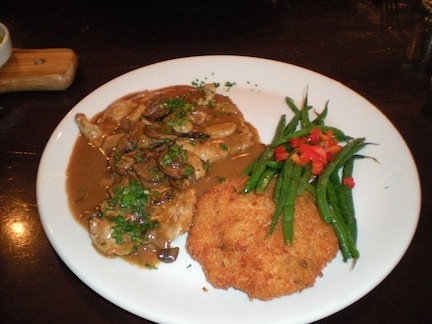 For dinner I ordered one of my favorite dishes: Veal Marsala. This is a dish I’ve had many times in different places but at Alpine the care and attention they put into selecting the perfect cuts of meat made the entrée anything but ordinary. All of the meats at Alpine are butchered and cut specifically for their dishes and after five months of testing and perfecting the proper cut for each dish I was able to taste the rewards of a fork tender, juicy, Veal Marsala. While Alpine is known for their cakes, pastries, and authentic, Italian cookies their cuisine menu is equally as memorable. Other menu selections include Crab Cakes (made entirely of lump crab); Pappardelle Bolognese which highlights homemade egg noodles, fresh goat cheese and a hearty Bolognese sauce; plus a variety of traditional Italian dishes. 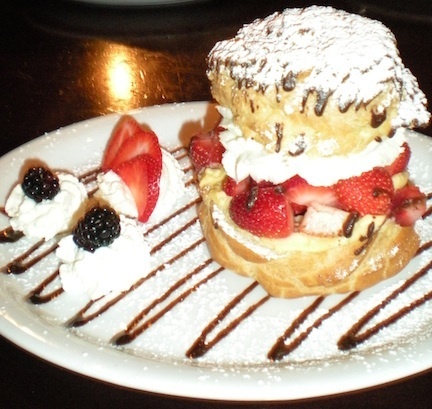 If you have never been to Alpine you have more than likely tried their baked goods if you have visited any of the “diners” in the Atlanta Area. Their offering of 28 gourmet flavors ranging from White Chocolate Raspberry Mouse to “Million Dollar Cake” are sure to please. Marietta Diner, Landmark Diner, and various establishments from Downtown to far outside the Perimeter carry Alpine’s glorious cakes. Don’t live in Atlanta? Well, Alpine also supplies baked goods to restaurant across the South. Alpine will also cater for any size gathering. Imagine trays of lasagna followed by a platter of treats and truffles. 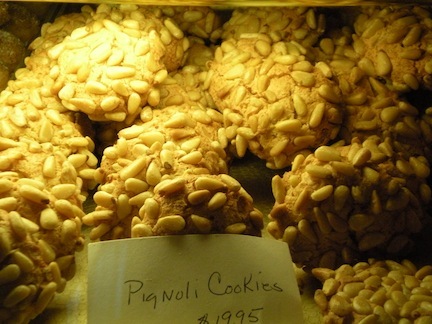 In addition to their impressive classic layer cakes with a traditional fresh cream icing, Alpine offers hard to find authentic Italian Cookies such as Pignoli. These pine nut covered clusters are the “Perfectly” Southern Italian version of a macaroon. For more information on Alpine Bakery and Trattoria, check out Alpine’s website, like them on Facebook, and read follow them on Twitter.